The 19th International Trade Fair of Analytics and Measurement Technology “EuroLab 2017” and the 6thForensic Technology Fair “CrimeLab 2017” came to an end. It was the biggest congress of the representatives of the lab industry in Poland. 142 exhibitors from 13 countries have presented state-of-the-art solutions for labs. During the three-day fair, the stands buzzed with talks and the participants of conferences listened to the lectures of the greatest scholars. Nearly 6000 people visited the Fair and Congress Centre between 29 and 31 March. During EuroLab and CrimeLab, Polish and foreign exhibitors presented their offer for labs of each type, whereas scientists and prominent experts shared their knowledge and information on current research and latest achievements. Laboratory is a place where the path of a scientist begins. Scholars attend fairs to get to know the possibilities offered by the most innovative technologies. This directly benefits common people who can use technological solutions on a daily basis. During the opening ceremony, it was emphasised that EuroLab and CrimeLab improve the quality of life and develop entrepreneurship. Prof Łukasz Szumowski, the Under Secretary of State in the Ministry of Science and Higher Education, pointed out that a laboratory is a place where a scientific thought transforms into real action. Włodzimierz Lewandowski, PhD, Eng, the President of the Central Office of Measures, emphasised that the actions of the institution support innovations and new technologies in the Polish industry, which also affects economic growth. Prof Jerzy Duszyński (the President of the Polish Academy of Sciences), represented during the ceremony by Prof Elżbieta Frąckowiak (the Vice-President of the Polish Academy of Sciences), received Grand Prix award from Urszula Potęga (the President of MT Targi Polska) as an acknowledgement of his co-operation. Moreover, Prof Duszyński was congratulated for the 65th anniversary of the institution. By visiting the exhibitions at the fair, the participants had an opportunity to encounter solutions offered to laboratories, including laboratory and optical equipment, analytical, control, and measurement apparatus, biochemicals and reagents, vessels, and lab glass, furniture, along with protective clothing, accessories that ensure occupational safety, and IT systems. The fair was distinguished by a model laboratory designed by DanLab – a Polish company and the distributor of products used in laboratories. It presented the equipment that you could see during work, e.g. a microscope that enables to evaluate the condition of skin and modern centrifuges. Established ten years ago, DanLab, from the very beginning of its activity, sets up a stand at EuroLab Fair. Director Generale Danuta Katryńska emphasised the meaning and prestige of EuroLab. “It’s also a great opportunity to build relations and direct contact with customers. Here we also learn about new projects and build relations with other companies” says Ms Katryńska. There were also other exhibitors, such as Ohaus – the producer of scales for laboratories and the industry. The company celebrates the 110th anniversary of its establishment. The impressive stand presented not only state-of-the-art scales used in laboratories but also vintage (but still functioning) showpieces that were created several decades ago. The company has operated on the Polish for 20 years and appreciates the fact that it takes part in these trade events. “We want to develop brand awareness among our customers. We present our offer and give our counsel. We are also focused on acquiring new customers. Moreover, we attempt to present our offer to students. In several years, they will use scales and decide about whether they will be purchased for laboratories” says Szymon Hołubowicz, Senior Market Manager from Ohaus Europe. The stand of Shim-pol that distributes chromatographs, spectrophotometers, spectroscopes, analysers, and testing machines offered state-of-the-art devices. Joanna Wójcik from Shim-pol described the way in which the company is preparing for EuroLab. She provides current customers in advance with detailed information on the things that will be presented at the fair. “We present new devices at the fair so that customers can see this equipment and obtain all information concerning its operation. The fair is also a place where you can make new contacts, participate in meetings with customers who can receive answers to the questions bothering them. Importantly enough, it is also a place where you can think about solutions to research problems that emerge on a daily basis” says Joanna Wójcik. The employees of CSMS Consulting & Software from Pszczyna, a company that creates and implements IT systems for work and information management in laboratories, are very pleased with the fact that they are involved in the fair. ” At EuroLab, we present our basic product: CS-17 LIMS. It’s a system supporting the operation of the entire lab. It is accurately adjusted to the individual needs of over 100 customers of both big and small laboratories that employ several persons. We have made new, interesting contacts during the fair that are bound to give rise to many years of co-operation” says the representative of CMSM, Mr Aleksander Nowak. Microscopes are widely used in, inter alia, forensics. Katarzyna Piekarska presented digital video microscope 3D Hirox RH-2000 and talked during the fair with the representatives of various institutions interested in the equipment. “Hirox microscopes can be used in forensics to a great extent. They can be used to examine, inter alia, documents, holograms, surfaces of different kinds, sections, layers, marks, cartridges or cartridge cases. Depending on the needs, the microscope can be used to perform 2D and 3D measurements, probe into deformations and defects or recreate the 3D model. It can be helpful in conducting nature, entomological, geological, pharmaceutical, chemical, and other research” says Ms Piekarska. Katarzyna Piekarska also added that the fair will be participated by customers known to the company, but each year there are also new, interesting contacts. “The fair is also visited by students and lecturers as well. I believe that it is important to show up at the fair because we always talk with the representatives of emerging industries” sums up Katarzyna Piekarska. An efficient co-operation between science and business constitutes the success of EuroLab. This was confirmed by the meeting at which the representatives of the institutes of the Polish Academy of Sciences told the exhibitors about their activities and accomplishments. The institutions in questions involved: the Institute of Biocybernetics and Biomedical Engineering, the Institute of Geography and Spatial Organization, the Institute of Biochemistry and Biophysics, the Strata Mechanics Research Institute, and the Institute of Pharmacology. Prof Elżbieta Frąckowiak, the Vice-President of the Polish Academy of Sciences, introduced the participants to the examples of co-operation that is necessary to implement innovative solutions in an efficient manner. A presentation by the representative of the Institute of Biocybernetics and Biomedical Engineering was an example of successful co-operation. The scientist told about the commercialisation of Ventil (a system providing independent lungs ventilation) that will soon be used in treatment provided to the victims of road accidents, accidents at work, climate disasters, warfare, and attacks. The institute has already gained a business partner who analysed the equipment, provided financial support to the project as part of patent procedure, conducted talks with investors that will soon be finalised, giving rise to an agreement for the commercial implementation of the equipment. You also had an opportunity to talk with young people who recently graduated from their respective universities. Agnieszka Kowalska from the Biological and Chemical Research Centre at the University of Warsaw confirmed that students can contact the companies exhibited at the fair already during their studies. “We work in college labs on the basis of equipment offered by various companies that is suitable for a specific type of research. For young people, visiting EuroLab is a chance to talk with exhibitors, get to know the employees and the culture of a given company, and sometimes students become employed after the period of traineeship or internship at the companies of their choosing” says Agnieszka Kowalska. She also adds that the Centre actively seeks new business partners to establish co-operation, but companies more and more often come forward on their own. This gives rise to co-operation in business projects that repeatedly have called for in-depth analyses based on state-of-the-art research apparatus in collaboration with the scientists of the Biological and Chemical Research Centre at the University of Warsaw. A substantive programme constitutes an integral part of EuroLab and CrimeLab. It consists of a number of conferences, seminars, and presentations. For a number of professionals from the lab industry, this is a change to obtain information on the newest scientific accomplishments and find answers to many questions. A wide range of subjects was discussed, e.g. metrology, medical, chemical, and biological sciences, along with biotechnology, microbiology, environmental protection, and forensics. The conference titled “the investigation of material evidence to determine the course of event”, organised by Prof dr Jan Sehn Institute of Forensic Research in Cracow, was held as part of the fair. Maria Kała, PhD and the Head of the Institute, told during the summary of speeches that knowledge, co-operation, and experience of experts enabled to explain the circumstances of the event discussed during the fair. She emphasised that the employees of the Institute continue to develop their skills. “Every expert is aware of the fact that the result of their research will serve as a basis for imposing a penalty; it is often impossible to pass judgements without an expertise” says Ms Kała. The Municipal Police of the Capital City of Warsaw has also appeared at the fair. Anna Krzeczkowska, the Head of Environment Control Department, described the tasks of the unit she works at. “31 persons of our team work in the field. We deal not only with the control of waste management and the enforcement of applicable provisions, but also with the education of citizens. The disposal of illegal landfills or places in which waste was recycled wrongly is certainly a success” says Ms Krzeczkowska. As for the stand, you could take a look at a specialist radio car that in essence constitutes a mobile laboratory. The Municipal Police has 5 such vehicles at its disposal. They are equipped with analysers that allow for monitoring e.g. the concentration of dust pollution in the air. Grzegorz Węgrzyn, Prof, PhD, touched upon an entirely different subject matter at the conference titled “Neurodegenerative diseases: research models and potential therapeutic options” prepared by the employees of the Department of Molecular Biology and the Department of Physiology of Animals and Man at the University of Gdańsk. “The subject of the conference was chosen carefully. Neurodegenerative diseases are an increasingly popular subject, their meaning and share is on an increase as well. At present, it is estimated that around 30 million people in the world suffer from such diseases, but this number can increase up to 115 million people by 2050. They cannot be cured, and societies become more and more vulnerable to them due to a number of reasons. How to deal with this problem is currently the subject of discussion all around the world, which is the reason why it is so important to discuss this issue as part of events such as EuroLab” says Prof Węgrzyn. The conference titled “Micro-organisms – do we know everything about them?” organised by the Microbiology Department and Institute at Ludwik Rydygier Collegium Medicum in Bydgoszcz, Nicolaus Copernicus University in Toruń and the Association “Microbiology Growth” has gathered persons interested in micro-organisms. Prof Eugenia Gospodarek-Komkowska, MD, Ph.D. discussed the meaning of micro-organisms in health and diseases common to humans, their relation not only with infections but also diabetes, obesity, schizophrenia, Alzheimer’s disease, and challenges related to research on new species of micro-organisms. “Every human being has a unique set of micro-organisms that changes during the course of his or her life. It depends on environmental factors but also on the host himself, his age, diet, antibiotic therapy, and stress. Contact with micro-organisms with natural vaccines. Therefore, it’s a process which is crucial in life” says the speaker. As every year, the seminar of the Polish Centre for Accreditation has gathered a crowd of listeners. Tadeusz Matras (PCA) emphasised that EuroLab is one of the most important events that gathers not only the producers and suppliers of lab equipment, but also all lab representatives. “The fair is, therefore, a great opportunity for the PCA to meet and present the changes in the requirements and conditions for accreditation to a vast group of recipients. At present, such changes are on a vast increase, which means that the accredited research laboratories must adapt their management systems to the amended requirements and new conditions. This is the reason why the entire lab environment awaits every information on the directions of changes in the requirements with great interest. This year, EuroLab focused on a practical approach to the implementation of changes in ISO/IEC17025. That explains the high interest in the seminar” says Tadeusz Matras He added that the participants to the meeting comprised the employees of laboratories conducting research in practically all fields, starting with food through research on roads and bridges, and ending with DNA and fingerprint research. There were also representatives of modelling labs, associations for laboratories and institutions of higher educations, research institutes, and the industry. Competitions for the exhibitors were adjudicated during the fair. 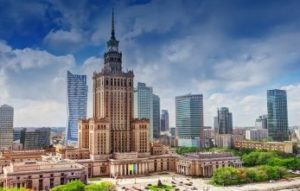 The Grand Prix of the President of the Polish Academy of Sciences was awarded as a distinction of innovative products and services concerning the medical and lab market that boost development and competitiveness in this industry in Poland. The award in question was granted to LECO Polska for PEGASUS BT, i.e. Gas Chromatography, Time-of-Flight Mass Spectrometer (GC-TOFMS), whereas Mettler-Toledo was distinguished for EasySamplerTM 1210, and Perlan Technologies for holographic microscope HT-1 by the company Tomocube. In the competition for the best offer of the 19th International Fair for the Analytics and Measurement Techniques EuroLab 2017, the Jury, composed of (inter alia) the representatives of research personnel of Polish universities, determined the prizewinners in three categories. In the category “Laboratory Measurement Apparatus”, the award was granted to Renishaw for RA802 Raman Pharmaceutical Analyser. The following companies received honourable mentions: Perlan Technologies Polska for Agilent Intuvo 9000 Gas Chromatograph System and Mettler-Toledo for EasySamplerTM 1210, an automatic device for sampling of chemical reactions. In the category “Laboratory Equipment”, the award was granted to Koettermann for Koettermann EXPLORIS, and honourable mentions were granted to: Donserv Wojciech Kaca for WK 25 homogenizers and Hornik for LABterminal Wesemann. In the third category “the Equipment of Medical Diagnostic Laboratory”, Perlan Technologies Polska received the award for system Real Time PCR AriaDx system by Agilent Technologies. An honourable mention was granted to PZ HTL for calibration of piston pipettes by full gravimetric and alternative methods in accordance with PN-EN ISO 8655-6. The winner of the competition for the most original and professional fair stand was Shim-pol A.M. Borzymowski, whereas honourable mention was granted to Merazet. The events were under the honorary patronage of: Stanisław Piotrowicz, MP of the Republic of Poland, the Chairman of the Commission on Justice and Human Rights; Piotr Cieśliński, MP of the Republic of Poland, the Chairman of the Parliamentary Team for Chemical Industry; Jarosław Gowin, the Minister of Science and Higher Education; Bogdan Święczkowski, the First Deputy to the General Prosecutor and the State Prosecutor; Prof Jerzy Duszyński, the President of the Polish Academy of Sciences; Włodzimierz Lewandowski, PhD, Eng, the President of the Central Office of Measures, and the Ministry of Development. The 20th EuroLab Fair will be conducted in the following year. MT Targi Polska, the event’s organiser, already invites companies, institutions, and organisations dealing with this industry to take part in this exceptional edition.